How did I not post this yet!? 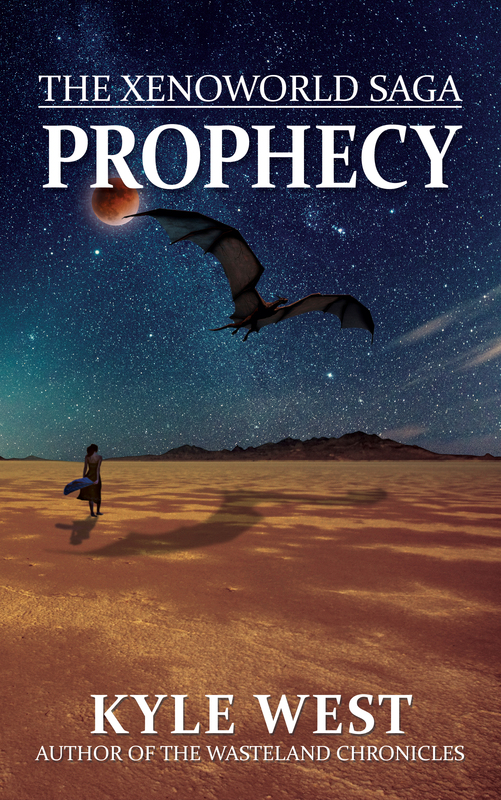 The new cover for Prophecy! I’ve had quite a few people emailing me about both, so I thought I’d give an update. Omnibus: The Omnibus’s beginning scenes are still in edits. The rest is good to go, and I thought I would have published by now, but it wasn’t quite where I wanted it to be, so I’ve taken some more time to make sure it was right. The beginning is incredibly important. It determines whether the readers keeps reading or moves on, and the beginning was where I made the most changes. I think the reading experience is richer, with more characterization and details, but at the same time, that means the reader doesn’t get to the punches as fast as before. My hope is, with the way it is now, those punches will be stronger. Characters such as CSO Chan, Khloe Kline, and Steven Keener are far more fleshed out than they were in the original book, to the point where Alex’s dad is one of my favorite characters now. You also get more details about the Bunker, what it looks like, how it works, and the community that lives there. The original Bunker scenes comprised about 10,000 words, but with the edits they’ve been upped to 30,000. Apocalypse is my first novel, and in a lot of ways, it reads like a first novel. I move too quickly, and I’ve always felt the Bunker scenes ended far too abruptly and there wasn’t enough time for character development. So, the reason it’s taking a while is the beginning scenes, but I think it reads much better and is more entertaining, and this extra effort will be worth it. These scenes should be completely edited soon, and as soon as they are, they are going to go through several rounds of proofing and then formatting. The point is, it shouldn’t be long – a few weeks, if I had to guess. Prophecy: This one is still in its first round of proofing. I should be getting it back at any moment, and after I make changes, it will go through another round, at which point my beta readers will get it, making for even more rounds of editing. The reason for so much editing is because, in the past, I didn’t take it seriously enough and it earned me some bad reviews. Now, I’m absolutely paranoid about typos and things like that, which makes for a long process, but hopefully one that ensures the highest level of quality I can provide. Prophecy is still a few weeks out as well. I don’t currently do release dates, because I’ve done that in the past but issues have cropped up last minute that forced me to renege on those release dates, and nothing feels worse that doing that (this would have been around late 2013, with Darkness). I will never, ever release a book before it’s fully ready, and I don’t give a release date until I’m absolutely, one hundred percent sure I can meet it. My mailing list, my Facebook page, my Twitter, and this blog will updated immediately as soon as I see the book is live in each of the stores, be that Kindle, iTunes, or wherever. So, to draw a close to this lengthy post, I’m super grateful for all of you and your patience. This book has taken a while for a lot of reasons, the main reason being that I was creating a new world from the ground up, developing its history, and figuring out how the Elekai abilities would work. It took three tries before I found the story I was looking for, and even then, this current iteration had to be almost completely rewritten because of the ending. I’ve often been discouraged by how hard it was to find that story, because with Wasteland Chronicles, I could write thousands of words at a stretch ever since I released Origins. My hope is, with the world now developed and the story rolling along, I can revert to my old release schedule. Again, thanks for being patient and I can’t tell you how excited I am that we’re on the downhill slope.